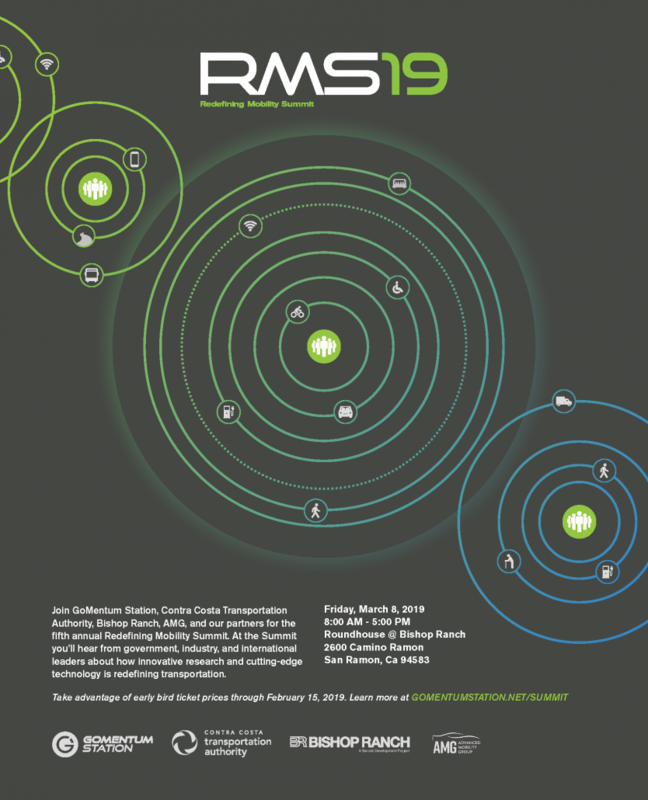 RMS19 Is Just Around The Corner! Please Join Us – Register Today. 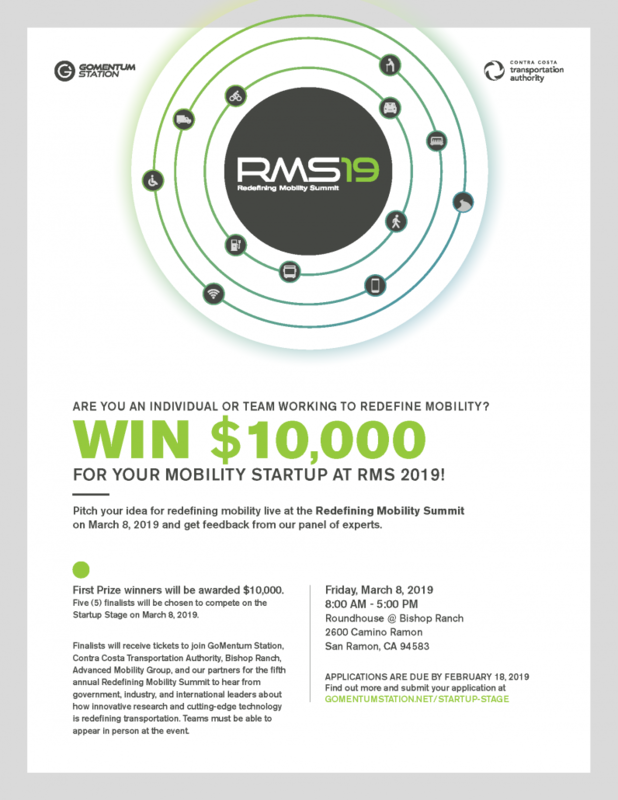 Join GoMentum Station, Contra Costa Transportation Authority, Bishop Ranch, AMG, and our partners for the fifth annual Redefining Mobility Summit. 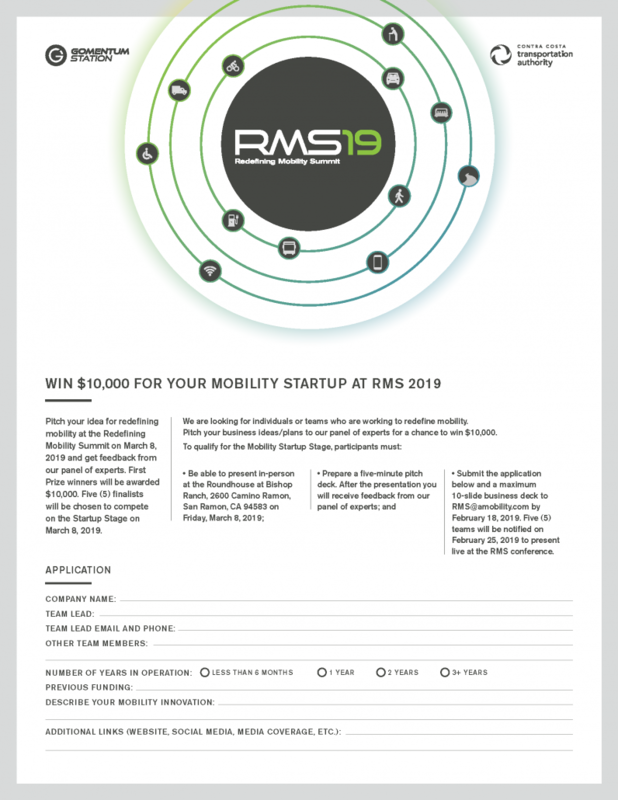 At the Summit you’ll hear from government, industry, and international leaders about how innovative research and cutting-edge technology is redefining transportation.